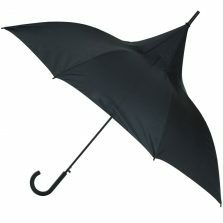 This large walking style umbrella’s square crook handle is one of the Vigo’s more distinctive features. 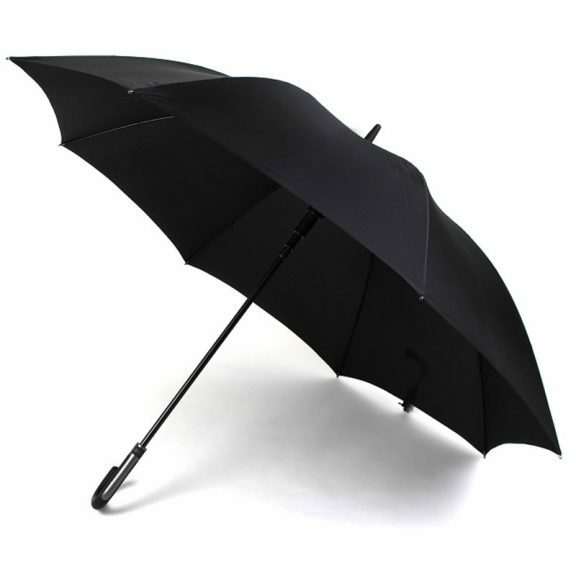 This sleek gent’s large walking style umbrella features a square shaped crook handle. 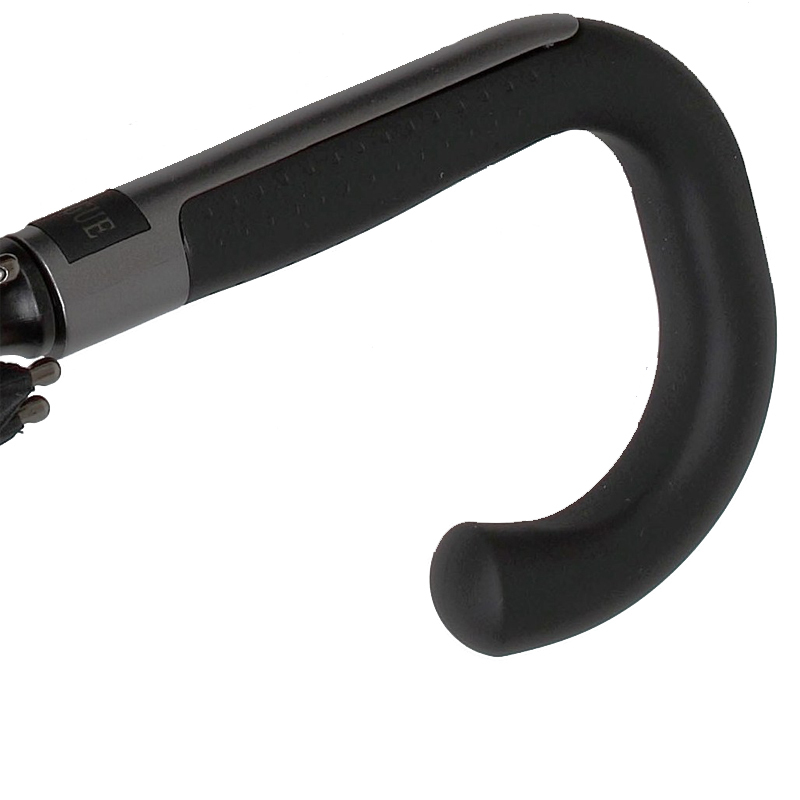 Much more comfortable to hold than the traditional shaped crook handle! 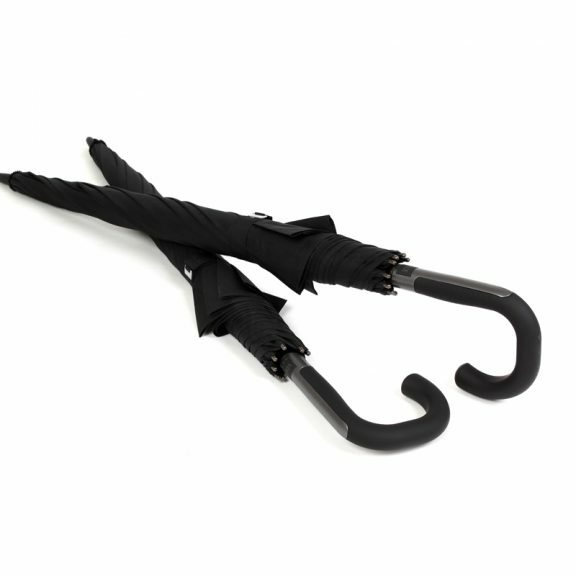 The Vigo’s very stylish handle has a soft touch rubberised coating and an easy grip. Also featuring ergonomic textured dimpling and pewter grey coloured spoke tips. 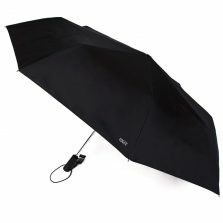 This large walking style umbrella has a Teflon coated canopy. 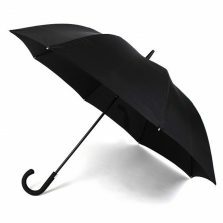 In fact this behemoth of a brolly has a huge span of 133 cm (52″) when open, large enough to be considered as a golfing umbrella. 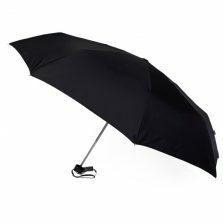 The Vigo has an automatic opening system and a 14 mm wide strong shaft with an extra strong fibreglass frame, meaning this umbrella is windproof as well as stylish. 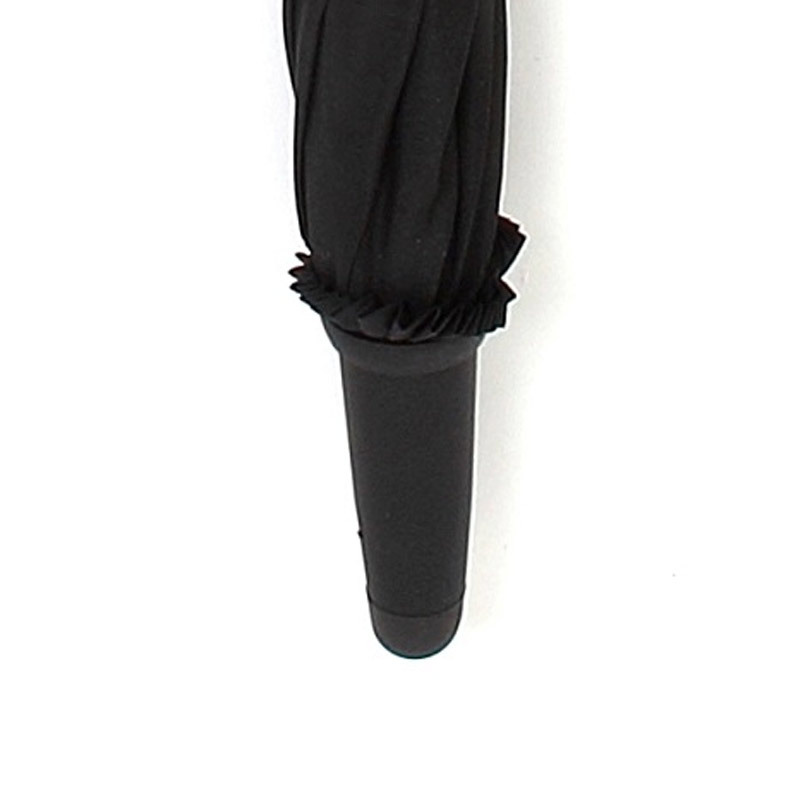 These large walking style umbrellas have a length from handle to tip of approx. 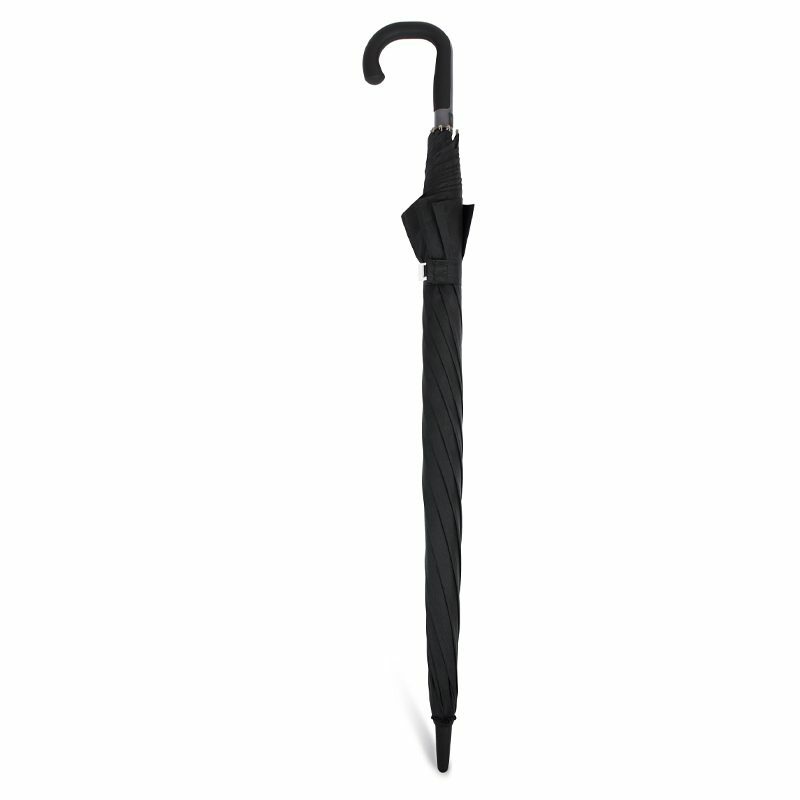 100 cm (39.5″) and weighs about 750 grams.